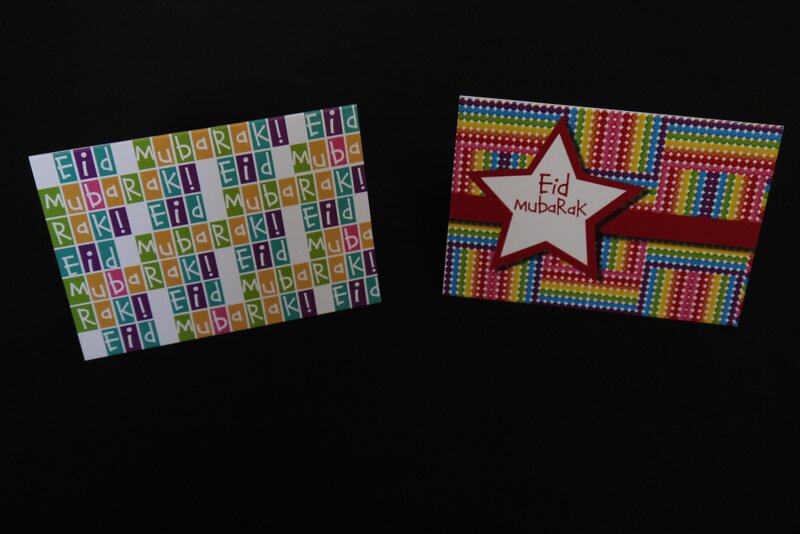 And here is another favourite of mine, little Eid Cardzz created for Children! These cute little cards are A7 (10.5×7.4mm) in size and come in packs of 10. They are ideal for sticking on to Eid presents for friends, or handing them out to the whole class with personal messages inside. They come in packs of 10 with the two designs, and cost a special launch price of £3.50/pack of 10, or £10 for 3 packs (only 30p a card! ).